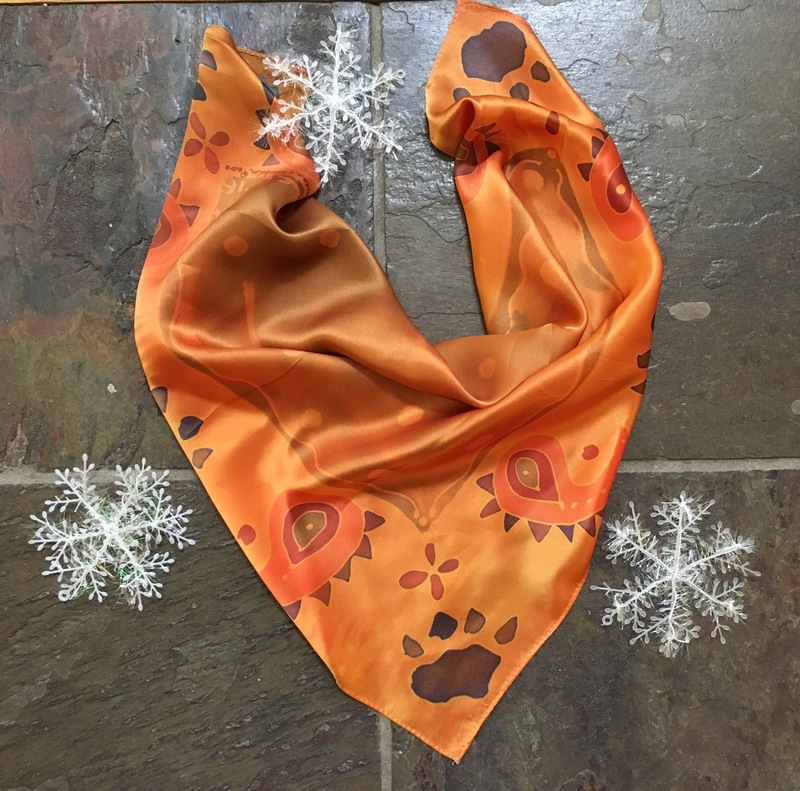 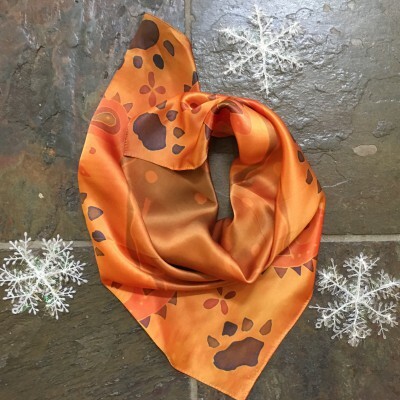 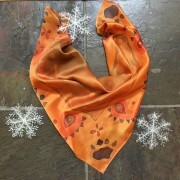 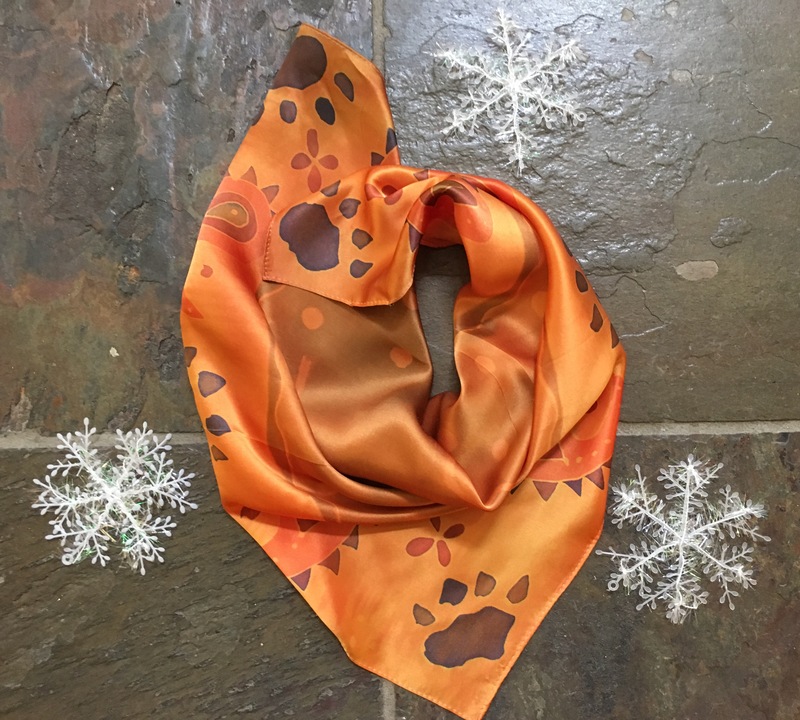 Acclaimed Artist Sue Cedarholm has graciously designed this exclusive pure silk bandanna (hand wash gently!) 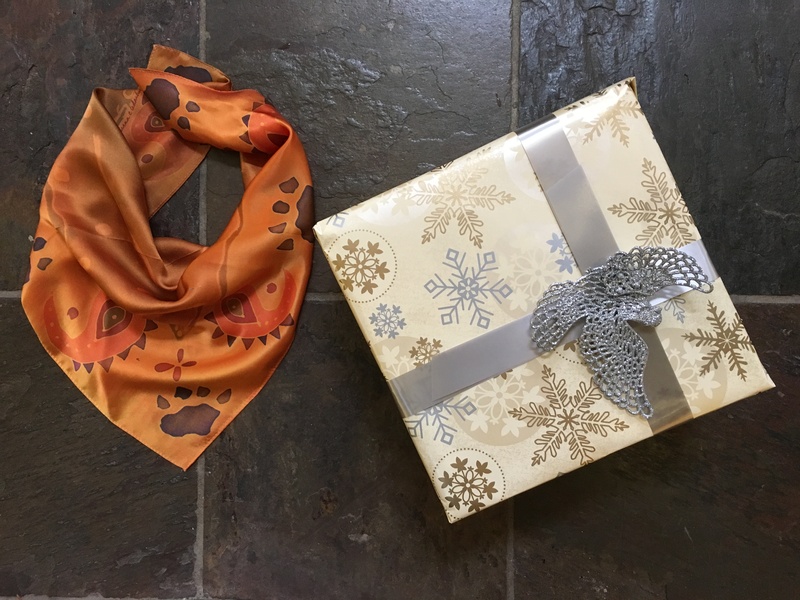 for us. 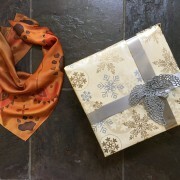 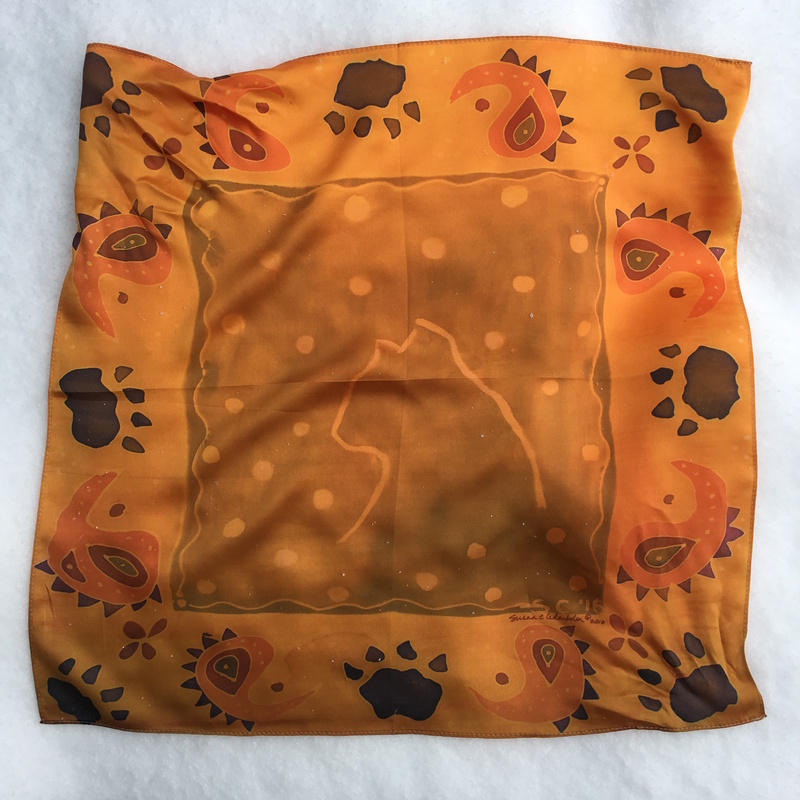 It is a limited edition of only 20 from Sue’s company, Inspired Wild Designs, and will be the first in a series of limited edition scarves reflecting seasonal hues and the beauty of the natural world. 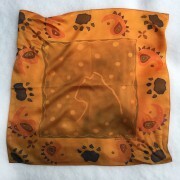 All profits will benefit The Cougar Fund.